Do you use video in your marketing? Are you wondering how YouTube can help promote your business? To learn about how to get started with marketing your business with YouTube, I interview Gideon Shalwick for this episode of the Social Media Marketing podcast. 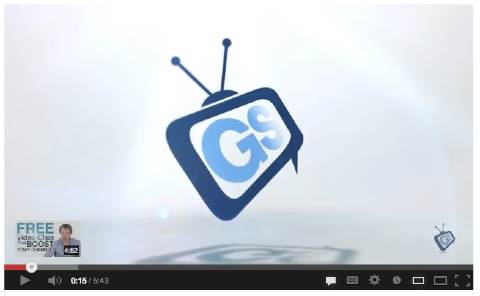 Gideon shares why YouTube is increasingly important for your business. You’ll learn about the strategies you need to succeed and how to promote your videos to grow your audience. Why is YouTube important for business? Over the last year or two, Gideon has seen a huge increase in interest from businesses when it comes to YouTube. In the past, it was hard to try to use YouTube as a business tool. Back then, people used it for different reasons. Today businesses have started to wake up to the opportunities. YouTube’s statistics show more than 1 billion unique users to their site each month. There’s over 6 billion hours of video watched each month on YouTube. That’s almost an hour for every person on earth. This number has increased by 50% from last year. There are 100 hours of video uploaded to YouTube every minute. When you take these statistics into account, you can see where your potential target audience is. YouTube is also an amazing tool to make good connections with your audience. Now that people can consume video on their smartphones, the mobile uptake has been phenomenal. Mobile video is increasingly important. Gideon shares how more and more people have started to watch YouTube videos on their television screens. If you look at videos that went viral on YouTube in 2012, 8 out of 10 were not your average cat or baby video, they were all professionally produced by someone who knew what they were doing. It’s a sign that the game has changed on YouTube. Gideon believes we are still at the start of the game when it comes to the opportunity available for business exposure. Our 2013 Social Media Marketing Industry Report shows that 69% of marketers plan on increasing their YouTube marketing in 2013. You’ll hear Gideon’s story of how he got started with YouTube and discovered how it was good for business. Listen to the show to find out why there are no competitors on YouTube, only collaborators. 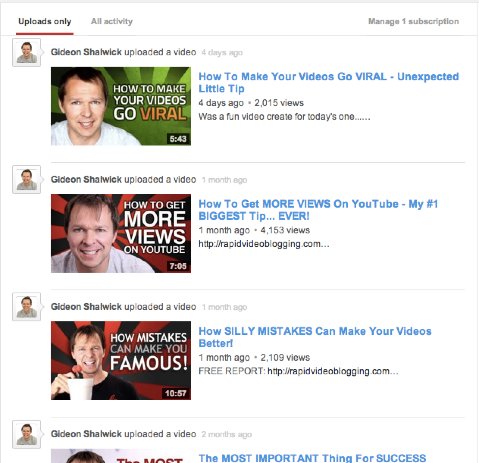 Gideon states that you need to be very strategic when you set up your YouTube channels. A lot of people think that it’s about the views, but that’s not the case. When Gideon thinks about his own strategy and when he helps others, he always starts with the Hedgehog Concept. You’ll learn how this concept relates to two different kinds of businesses. 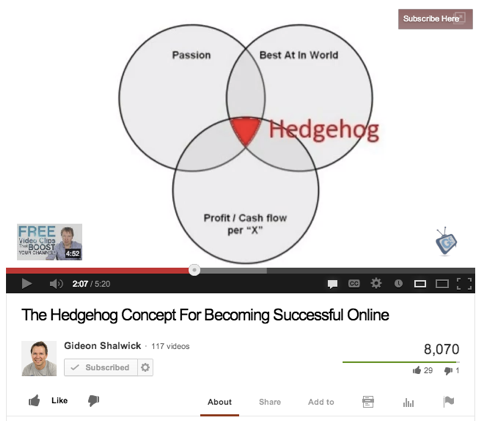 Use the Hedgehog Concept to identify your target market. When these three things overlap like a Venn diagram, the middle is your Hedgehog Concept. You’ll learn how this can help you identify your target audience’s needs. The effort you put into it will help you grow your business for long-term success. Gideon believes the two functions that YouTube offers for business are exposure and relationship-building. Once you have built exposure on YouTube, you then have the choice of how you want to redirect that attention. Listen to the show to find out what you need to think about once you have built exposure and relationships. Is there a correlation between the number of subscribers and actual video views? Gideon explains the two correlations. One is direct and the other is indirect. Direct correlation is the more subscribers you have, the more people will see your video updates in their subscription stream whenever you upload a video. If you subscribe to a channel on YouTube, you get to see all of your subscriptions inside of YouTube. For regular YouTube users, it’s the first place to look for what’s new. It’s very similar to Facebook, LinkedIn or an RSS feed on your blog. The more subscribers you have on your YouTube channel, the more chances you have of them seeing your video content in their subscription feed. This increases your chances of getting viewed. You have a better chance of showing up in someone's subscription feed by having more subscribers. If you have a very engaged audience, you will get more views from your current subscribers. These people will keep coming to your channel. The indirect correlation is ranking of videos. YouTube looks at your subscriber count as one of the factors to help them decide whether your content is relevant. The higher your subscriber count, the more YouTube will see your content as relevant. For example, if all other things are equal and there are two videos out there on the same topic, but you happen to have 20,000 YouTube subscribers and the other person has 200 subscribers, your chance of getting ranked in the YouTube search engine is much higher. YouTube not only looks at views and subscribers, they also look at the engagement your audience has with your videos. These can include likes, comments and shares. You’ll hear how Gideon increases his audience and engagement at the same time. Listen to the show to learn about a cool tool that tells you a ton of behind-the-scenes statistics on individual YouTube videos. As you create your content, you need to keep in mind how to make it engaging. It’s very important to have super-high engagement with your audience. YouTube not only looks at the comments, likes and shares, but also at how active people are when they watch your video and how long they watch it for. It’s a crucial metric that YouTube looks at to help rank your video. If your education videos only include screen-capture content or slides, then you are at a higher risk of losing viewers. You need to combine a talking head along with slides and illustrations. You’ll discover the importance of why you need to show your face in a video. Listen to the show to hear why the Khan Academy has great examples of educational videos on YouTube. Why do you open your videos with a short teaser? Gideon explains why the first few seconds of your video are critical to get people engaged. You have to think very carefully about the kind of content you want to have right at the beginning. Gideon calls it the Z factor. The video below is a great example. The Z comes from Zeigarnik, a Russian psychologist from the early 1900s. You’ll hear about a study that she carried out that showed how to achieve better engagement with her audience. This became known as the Zeigarnik effect. Gideon uses open loops at the beginning of his videos to create mystery and intrigue. It opens up the loop to get people to watch the rest of the video, until he closes the loop. It’s a very powerful mechanism to get people engaged. You can also enhance a video with an interrupt, which is when you introduce something that people don’t expect. You’ll hear Gideon give an example he used recently in one of his videos and how it makes people sit up and take notice. Listen to the show to find out another way of creating a teaser at the beginning of your video. What impact does the custom thumbnail have on your video playbacks? 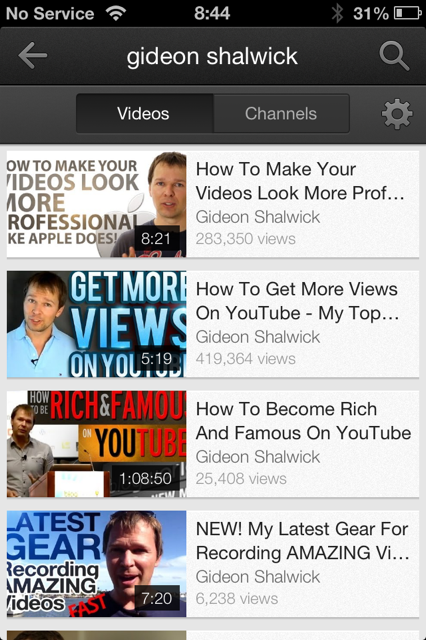 Gideon says that custom thumbnails are very important to help you get more views and stand out. Some people get 10-20 new videos a day in their subscription feed and the videos with appealing custom thumbnail images stand out the most. Although people do look at text, it’s the image they look at first. It's important to include an image in your thumbnail to help you stand out from the crowd. The thumbnail also shows up in the search results in YouTube. Your thumbnail needs to be visually attractive to grab people’s attention. You’ll find out what other image works best in thumbnails. Remember to add text on the thumbnail. This can be the title of your video, which includes compelling text to get people to click on it. Listen to the show to learn the perfect size for thumbnails. How did you place the persistent image in the bottom left of your images with an ad that says “Free video clips that boost your channel”? Gideon shares a cool feature that YouTube introduced about a year ago. You can display an image at the bottom of each video on your channel. It’s a great way to make people aware of an event you’re conducting or use it as a way to send people to a specific video on your channel that promotes something on your website. The image at the bottom left is a great way to promote your products. You’ll learn the steps for adding this image inside your video and the features available to optimize it. Listen to the show to hear how it works with embedded video too. James’ YouTube videos currently have a couple of seconds of introduction, which include a graphic with the title of the show. It’s also his default thumbnail for every video. You’ll discover the reasons why you shouldn’t use other people’s images and why instead I recommend you get a nice template and customize the words for each one. Listen to the show for an example of a customized thumbnail and what you need to do to enable monetization of your channel. YouTube is the answer. One thing you have to remember is that Google owns YouTube. Google wants to try to propagate YouTube; therefore, YouTube is a spectacular way to help you with traffic. So definitely explore YouTube. It’s a great opportunity if you are thinking of getting into podcasting or you want to master social media. It’s completely live online and you get the recordings and the transcripts. Be sure to check it out. Connect with Gideon on his website. Check out Gideon’s ebook Rapid Video Blogging. Take at look at YouTube’s statistics. Learn more about the 2013 Social Media Marketing Industry Report. Check out the Hedgehog Concept. Read Good to Great by Jim Collins. Head over to the Khan Academy on YouTube to see how they do educational videos. Read more about the Zeigarnik effect. Try vidIQ Vision for behind-the-scenes YouTube statistics. Head over to Sports Minded News and EasyM6. Learn more about Social Media Success Summit 2013. What do you think? What are your thoughts on creating a successful YouTube channel? Please leave your comments below.